Dr. Daniel S. Isbell is an Associate Professor of music education at Ithaca College where he teaches graduate and undergraduate courses, and conducts the Campus Band. He earned his Ph.D. from the University of Colorado at Boulder and his Masters of Music Education from the University of New Mexico in Albuquerque. His Bachelor of Music Education and Trumpet Performance is from Ithaca College. While at the University of Colorado, Dr. Isbell was a Graduate Part Time Instructor and the Director of Jazz Studies at the Boulder Arts Academy. Prior to teaching in Boulder, he was the Director of Bands in the Steamboat Springs (CO) School District where he conducted the district concert bands, jazz bands, and world-famous Ski Band. Dr. Isbell’s professional teaching career began as the Director of Instrumental Music for the Otselic (NY) School District. During the 2014-2015 academic year, Dr. Isbell will be a Visiting Fellow at the Institute of Education, University of London (UK) and a visiting researcher at the Paul R. Judy Center for Applied Research, University of Rochester (NY). He was selected as the Spring 2015 Ithaca College London Center teaching sabbatical award. Dr. Isbell's dissertation on the career socialization and occupational identity development of music teachers was honored as the Outstanding Dissertation of 2006 by the Council for Research in Music Education. Other awards for research include the Society for Education, Music, and Psychology (SEMPRE) Conference Research Award and the Emerging Researcher Award from Music Education Research International. His work has been published in a variety of journals including Psychology of Music, Journal of Research in Music Education, Update: Applications of Research in Music Education, Music Education Research International, Music Educators Journal, and the Journal of Historic Research in Music Education. More recently, Dr. Isbell's research has focused on the differences between music experiences in formal school settings and the vernacular music experiences present in society. 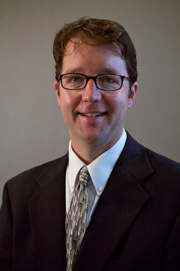 Dr. Isbell frequently presents his research at regional, national, and international conferences. Dr. Isbell has an established career as a trumpet player, performing in a variety of settings and styles. He has played trumpet with the Henry Mancini Orchestra and has toured with La Candala, a Salsa band from Colorado. He is a former trumpet payer with the Swamp College Brass Quintet (NY), Steamboat Springs Jazz Quartet, Steamboat Springs Chamber Orchestra, Pikes Peak Philharmonic, and Flashback, a rock and roll group from Northern Colorado. For seven years, Dr. Isbell was also an active performer in Kanni!Ko!, an African drum and dance ensemble.